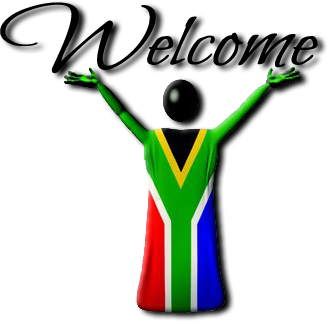 South Africa, officially the Republic of South Africa, is the southernmost sovereign country in Africa. It is bordered on the south by 2798 kilometres of coastline of Southern Africa stretching along the South Atlantic and Indian Oceans, on the north by the neighbouring countries of Namibia, Botswana and Zimbabwe, and on the east and northeast by Mozambique and Swaziland, and surrounding the kingdom of Lesotho. South Africa is the 25th-largest country in the world by land area, and additionally with around 53 million citizens, is the world’s 25th most populated country. It is also the southern-most country on the mainland of the Old World or the Eastern Hemisphere . It is the only country that borders both the Atlantic and the Indian Ocean. 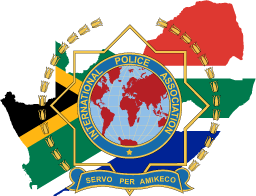 South Africa is located at the southern tip of the continent of Africa. The Portuguese were the first Europeans to reach the Cape of Good Hope, arriving in 1488. However, permanent white settlement did not begin until 1652 when the Dutch East India Company established a provisioning station on the Cape. In subsequent decades, the French, the Dutch, and Germans began to settle in the Cape. Collectively, they form the Afrikaner segment of today’s population. The British gained control of the Cape of Good Hope at the end of the 18th century, and subsequent British settlement and rule marked the beginning of a long conflict between the Afrikaners and the British. The discovery of diamonds and gold in the late 1800s brought an influx of Europeans and further strained relations between the Afrikaners and the British. In 1902 the British defeated the Afrikaners, or Boers, and incorporated the Boers into the British Empire. In 1910, the white-controlled Union of South Africa was formed. In 1948, the National Party was voted into power and instituted a policy of apartheid – the separate development of the races – which favored the white minority at the expense of the black majority. The African National Congress (ANC) led the opposition to apartheid and many top ANC leaders, such as Nelson Mandela, spent decades in South Africa’s prisons. Internal protests and insurgency, as well as boycotts by some Western nations and institutions, led to the regime’s eventual willingness to negotiate a peaceful transition to majority rule. The first multi-racial elections in 1994 brought an end to apartheid and ushered in majority rule under an ANC-led government. South Africa is endowed with abundant natural resources, and its economy is the largest in Africa with strong financial and manufacturing sectors. Since the end of the apartheid in 1994, South Africa has made considerable economic progress, but the country continues to face high unemployment and poverty.